Most of us thought that the heart is just a ten-ounce muscle that pumps blood and maintains circulation until we die. 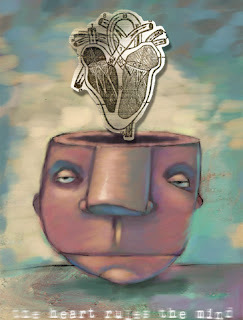 Medical science asserts that the brain rules all of the body's organs, including the heart. However, it is interesting to note that the heart starts beating in the unborn fetus even before the brain has been formed. Why is it so? Neuroscientists have recently discovered exciting new information about the heart that makes us realize it's far more complex than we'd ever imagined. Instead of simply pumping blood, it may actually direct and align many systems in the body so that they can function in harmony with one another. These scientists have found that the heart has its own independent nervous system – a complex system referred to as "the brain in the heart." There are at least forty thousand neurons (nerve cells) in the heart – as many as are found in various subcortical centers of the brain. This new scientific evidence shows that the heart uses these methods to send our brain extensive emotional and intuitive signals. 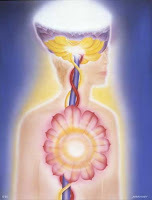 Along with this understanding that the heart is in constant communication with the brain, scientists are discovering that our hearts may actually be the "intelligent force" behind the intuitive thoughts and feelings we all experience. All these findings are nothing less but validated the authentic saying of Prophet Mohammad, “inside the human body there is a morsel of flesh which, if healthy, the whole body is healthy and which, if diseased, the whole body is diseased.” Then he pointed to his heart and said “this piece of flesh is this heart.”...and the Quran says..wa fi anfusikum, afala tubsirun...it is within you, can't you analysed? I've presented a smal chunk of this topic at Cognitive Science Seminar at Universiti Malaysia Sarawak, 2007. Can u make it possible for us to follow ur blog?